Banks are confident in reaching their full-year profit targets albeit the central bank is unlikely to loosen banks’ credit growth limit in the second half. Apart from several banks that have downwardly revised their full-year profit targets as they are approaching the credit growth limit, many other banks insist on retaining their profit targets for 2018. In the first half of this year, Ho Chi Minh City-based ACB posted a record pre-tax profit reaching VND3.15 trillion ($139.4 million), a 2.5-fold increase against the corresponding period in 2017. 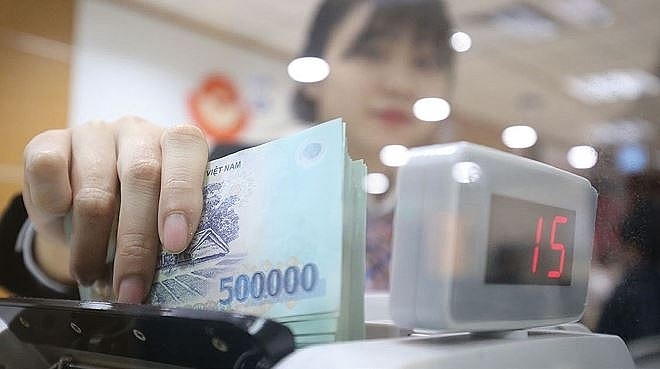 The bank has set forth the full-year pretax profit target of VND5.69 trillion ($252 million) and bank executives even expect that their pretax profit this year could amount to VND6 trillion ($265.4 million). ACB increased their profit target during the period in the wake of sharply rising incomes from different sources. Accordingly, its net interest income rose by 23.8 per cent in the first half to reach VND4.86 trillion ($215 million). Its earnings from service activities soared by 38 per cent to VND746 billion ($33 million), whereas earnings from other activities leaped 73 per cent to VND706 billion (31.2 million). ACB executives, in a recent meeting with analytics experts, unveiled that they aim at a 28 per cent jump in service fee revenue this year and a 28-30 per cent growth next year. In light of the Central Bank (SBV)’s recently-released Directive 04, several banks that are supporting underperforming banks in the restructuring process might have their credit growth limits loosened in the latter months of the year. HSC anticipates a 32.2 per cent jump in listed banks’ total after-tax profit in 2018 and a 22.5 per cent hike in 2019. According to Ho Chi Minh City Securities Corporation (HSC), as the banking sector’s credit growth target for this year is set at 17 per cent, while the credit growth cap of most banks hovers around 14 per cent, there is still room for the SBV to raise the growth cap for certain banks without affecting the general growth target. Major commercial lender from Ho Chi Minh City HD Bank is an example. The bank is awaiting SBV’s approval for its merger plan with PG Bank. If the merger plan is approved before the fourth quarter of this year, HD Bank might have their credit growth target loosened to 30-40 per cent this year to boost lending. As HD Bank’s first-half pretax profit surpassed VND2 trillion ($88.4 million), the bank is confident in finalising its full-year profit target of VND3.99 trillion ($176.5 million). Not only that, a source from the bank revealed that they could scale up the full-year pretax profit target toVND4.7 trillion ($208 million) once the merger plan with PG Bank gets the nod. HSC recently delivered a buoyant full-year profit growth forecast for listed banks. Accordingly, it anticipates a 32.2 per cent jump in listed banks’ total after-tax profit in 2018 and a 22.5 per cent hike in 2019. Meanwhile, the latest survey by SBV’s Monetary Forecasting and Statistics Department shows that up to 88 per cent of credit institutions expected a surge in their full-year pretax profit against last year, with an average 19 per cent hike in the whole sector’s profit this year.